Dr. Stoltzfus previously worked as the vice provost for undergraduate education at Cornell University, an Ivy-League institution located in Ithaca, New York. Prior to her time at Cornell, Stoltzfus worked as an assistant and associate professor of human nutrition at the John Hopkins Bloomberg School of Public Health. While Stoltzfus has wrapped her position as provost, she’s still finishing up her research of global health and nutrition in Tanzania, Zimbabwe and India at the Ivy-League institution. On November 1, Stoltzfus will join Goshen College as the 18th president. Stoltzfus plans on spending a lot of time listening to students, faculty, staff and community members about what excites them about Goshen College, as well as how to cultivate an inclusive environment. “What is the Goshen experience for most students?… What does it mean for students to fully participate and fully feel like they own and are co-creating the Goshen College experience?” are two of Stoltzfus’ biggest questions. Stoltzfus went on to note the diverse student body of Goshen College and how it shapes the campus. She defined diversity not just in terms of race, ethnicity and language, but also including personality, world views and perspectives. In early June, Stoltzfus visited the Goshen College campus and gave a speech explaining her credentials, as well as her passion and visions for GC. During the speech, she mentioned seven values that she is committed to upholding during her time at Goshen: relationships, truth, excellence, stewardship, diversity, growth and enthusiasm. “Those values are things that, as I pondered what I wanted to make known about myself and what I wanted to bring into the office of the presidency, felt like important aspects of who I am and how I want to lead and be as the president of Goshen College,” Stoltzfus said. 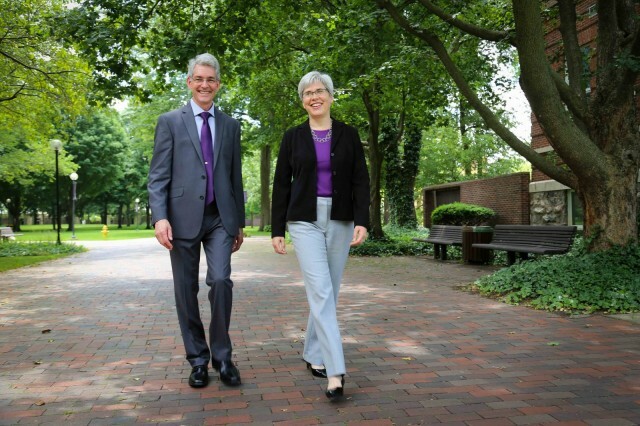 Stoltzfus is “looking forward to reaching out” to the Goshen College campus, although she admits that it will be quite difficult to reach out to every single student. However, she invites students to get in touch with her via email (rebeccajs2@goshen.edu) if they have any concerns. 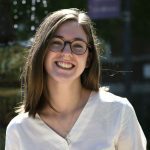 Abigail King worked as the managing editor of digital media at The Record during the fall of 2018. She is third-year student, majoring in journalism and writing. Bylines include Lancaster County's newspaper LNP, the Chicago Tribune, the Goshen News, the Elkhart Truth, the Mennonite, and more. You can reach Abigail at amking@goshen.edu.